Often this blog is about games, sometimes it is also about work. It is almost never about puffins. | I'm Falling Apart! It’s not often in this job that I get a fun project, but this one was a good one. 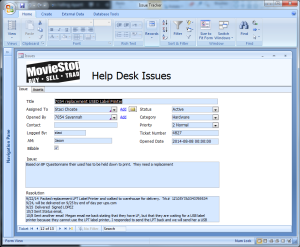 We’ve been running an Access database for issue ticket tracking for many years now. 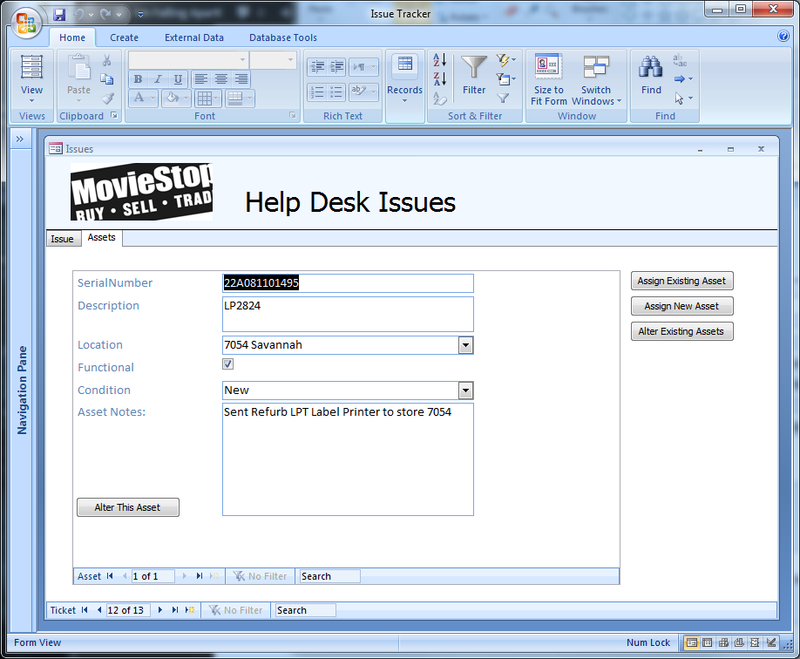 Originally based on a stock “example” database, it’s been tweaked and mutated into what we use today. After moving away from GameStop, we found ourselves facing a mountain of replacement hardware and no system to track those assets. 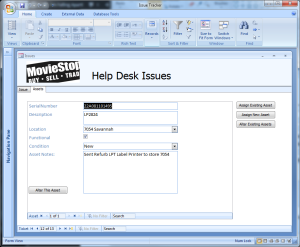 So I integrated a new tab into the issue tracker that allowed us to join assets to every issue. 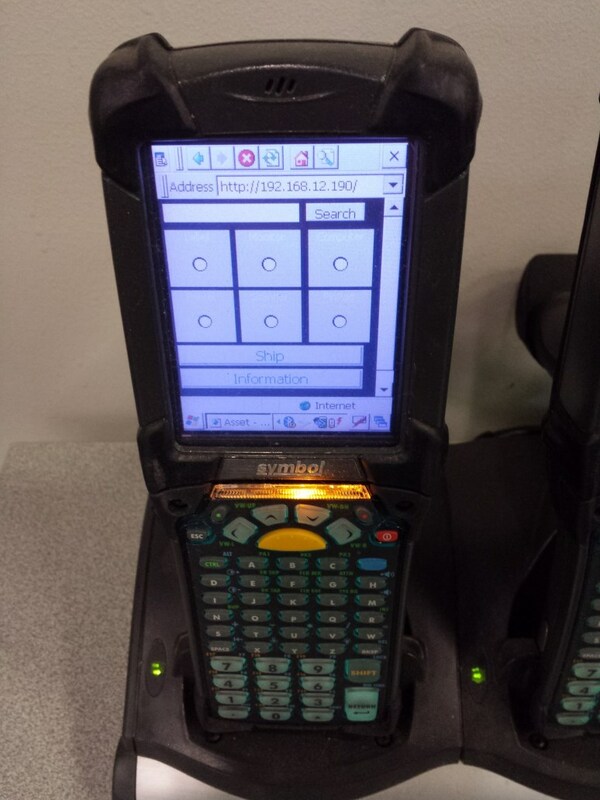 When a new label printer needed to be shipped, we had that label printer’s serial number recorded, and reports allowed us to see which stores had what hardware. Instant accountability. But while the additional system solved asset tracking, we still had a boatload of new hardware to check in. We also had a set of Motorola MC9090 handheld scanners lying around from a failed attempt to automate our now-defunct warehouse. The MC9090 ran Windows CE 5.0, had a 320×240 display, and RAM that was measured in megabytes. Programming an application for this thing was out of the question. But what those devices did have was something called “Pocket Internet Explorer.” And I’m a web developer, dammit. At the end of the day, when all was said and done, we ended up having to ditch the MC9090s because their batteries needed refurbishing, which was too expensive. Now they sit in the corner, collecting dust. They die if they leave their cradles for longer than five minutes. I don’t know why I didn’t post this here. I posted it everywhere else. Poor, neglected blog. If I don’t post these up now, I’ll just keep futzing with them until the heat-death of the universe. The entire Elder Scrolls lore revolves around the concept of Creation. At the lowest levels, we reproduce. That act of creation is not a divine act in the poetic sense, but basic survival instinct. It is the least “powerful” form of creation. Even ants can do this. At a higher level, we build things. Rocks become Cairns. Trees become Logs become Houses, Bridges, Walls, Weapons. Ore becomes Blades and Armor. But this is just the manipulation of one thing into another. It is not as much Creation as it is Conversion. So we move to the next level. We create with Magicka. Fire between our hands, ice from our fingers. But again, this is Conversion, though the brush is loaded with the phlogistonic paint of Aetherius.